So there I was, minding my own business and reading the New York Times when I came across this full-page ad. 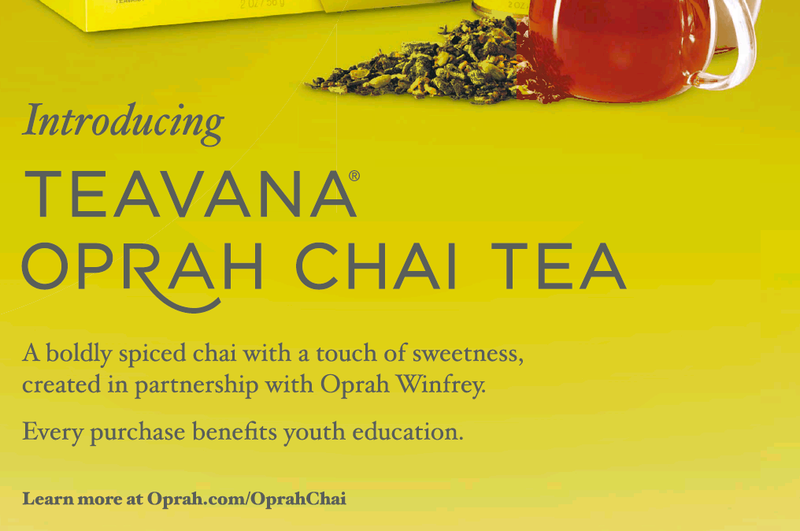 A boldly spiced chai with a touch of sweetness? Do we detect the green (tea)-eyed monster at play here? 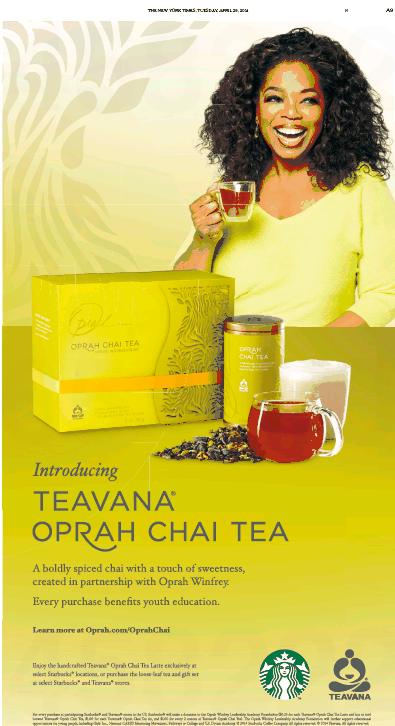 Regardless, the Doc definitely detects the Oprah-industrial complex at work. 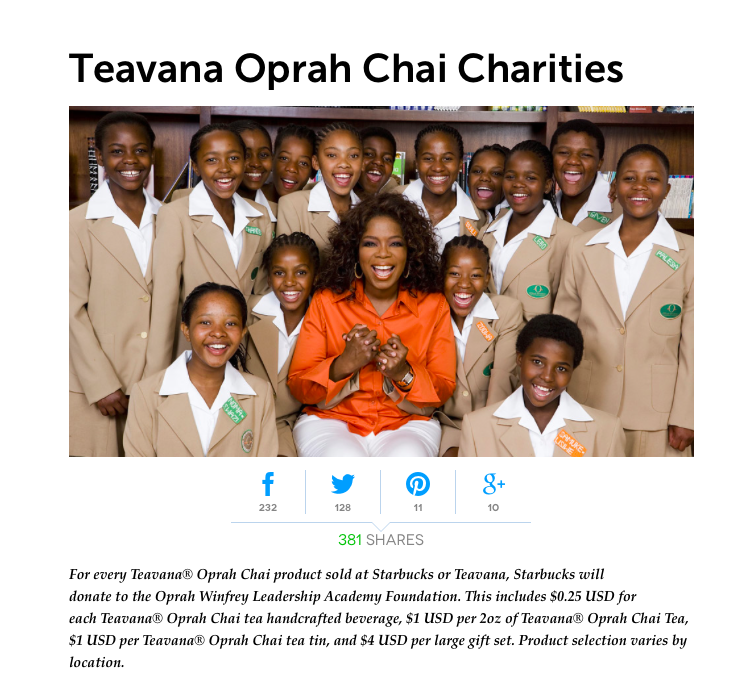 Click on the OprahChai website and you wind up in OprahLand (Steep Your Soul precinct). Of course, the Oprah Winfrey Leadership Academy Foundation has had its difficulties. But apparently Starbucks is willing to assume that baggage.